This Christmas, Selfridges have come up with the best Christmas present ever! 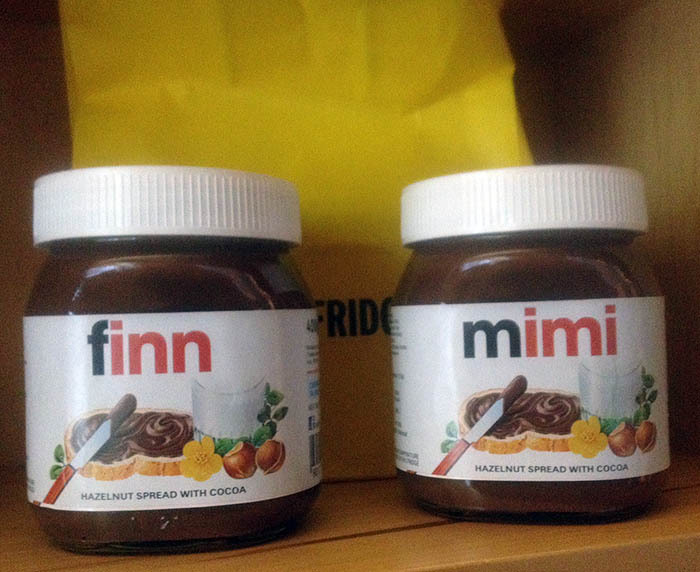 Personalised Nutella and it’s under a fiver – a perfect socking filler or great gift idea for £3.99. We were told it could take up to 45 minutes but we were actually done and dusted in 20 mins. Just in case you do have to queue, take your Christmas cards to write or catch up on your personal admin. A slight victim of it’s own success; each customer is now only allowed to order two jars per purchase. Before venturing to Selfridges, we noticed one tweet where a customer was complaining about the queues after being stuck behind someone ordering 132 jars…. and no it wasn’t Father Christmas!